We defy you to enter this pub without emitting a pirate's "Yeeaarrgggh!!". 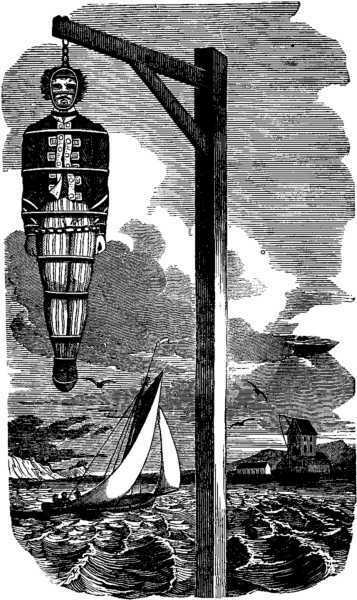 The Captain Kidd is named after one of history's most notorious plunderers, William Kidd, who was eventually hanged hereabouts at a notorious gallows known as Execution Dock. Captain Kidd, having one of those days. The old warehouse location adds to the briny charm of the place, and the large windows overlooking the Thames are a joy. There's plenty of space in the large ground-floor bar, with further room and a restaurant upstairs. 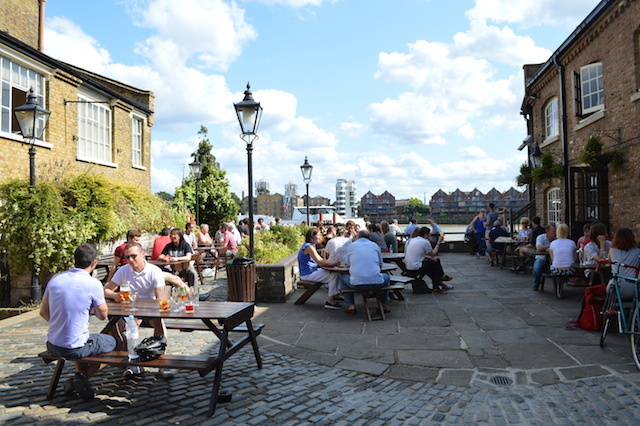 The adjacent yard gives an outdoor riverside option in the summer — something the pub's better-known rivals don't have in abundance. 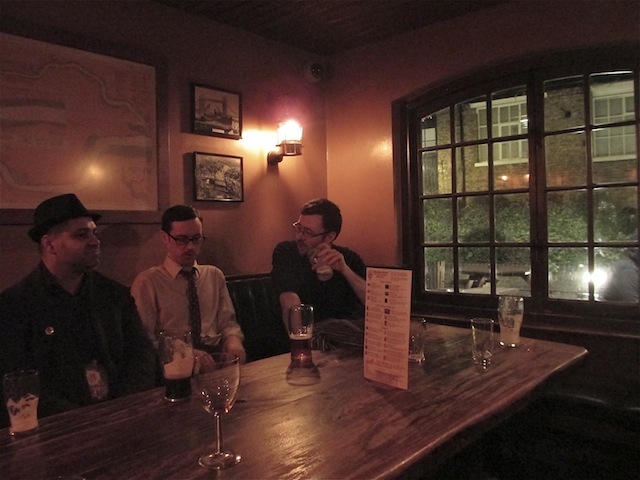 One of several booth-type rooms finds a few friends on our pub crawl. The usual range of Sam Smith's beer and wine can be yours for a few pieces of eight.